Curious just how far your dollar goes in Durham? We've rounded up the latest rental listings via rental site Zumper to get a sense of what to expect when it comes to hunting down a place in Durham if you've got $900/month earmarked for your rent. First, there's this one-bedroom, one-bathroom situated at 3417 Balfour West. It's listed for $875/month for its 700 square feet of space. In the unit, there are a dishwasher, a walk-in closet, a fireplace, a balcony and hardwood floors. Pet owners, take heed: cats and dogs are permitted. There's no leasing fee required for this rental, but there is a $150.00 administrative fee. According to Walk Score, this location isn't very walkable, is bikeable and has some transit options. Here's a 781-square-foot one-bedroom, one-bathroom condo at 3322 Tarleton West, #02 that's going for $850/month. 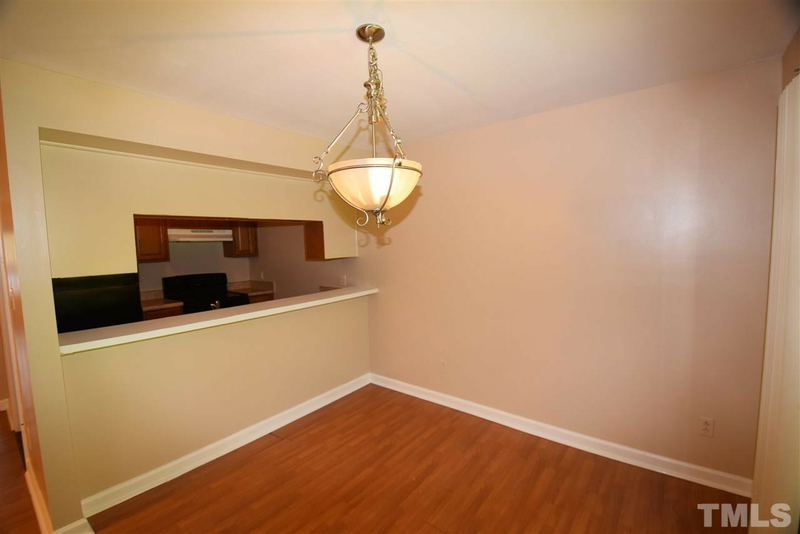 The apartment boasts hardwood flooring, a fireplace, a ceiling fan and air conditioning. When it comes to building amenities, anticipate outdoor space. Pet owners, inquire elsewhere: this spot doesn't allow cats or dogs. Future tenants needn't worry about a leasing fee. Walk Score indicates that this location requires a car for most errands, is relatively bikeable and has some transit options. Next, check out this 700-square-foot one-bedroom, one-bathroom that's located at 32 Dansey Circle. It's listed for $810/month. Apartment amenities include a dishwasher, in-unit laundry, a fireplace, a balcony and air conditioning. Neither cats nor dogs are allowed. The rental doesn't require a leasing fee. According to Walk Score's assessment, this location is moderately walkable, is fairly bikeable and has some transit options. Located at 5800 Tattersall Drive, here's a 721-square-foot one-bedroom, one-bathroom apartment that's listed for $809/month. In the unit, you can expect a dishwasher, in-unit laundry, a walk-in closet, a fireplace and a balcony. Amenities offered in the building include garage parking, a swimming pool, a fitness center, storage space and on-site management. Pet owners, take heed: cats and dogs are welcome. Expect a broker's fee equal to one month's rent. According to Walk Score, the surrounding area is moderately walkable, is bikeable and has a few nearby public transportation options.